Xiaomi Mi A1 Bypass Google Account Latest 2018 method, Only you need download “Mi PC Suite” as well “Mi FRP Removal Tool”, and then you can easily bypass google verification on Xiaomi Mi A1 device. This method is only device owner. Note: This method has successfully been applied on Xiaomi Mi A1, Android 7.1.2, Sec Patch 1st Aug 2017. -Install “Mi Setup 2.2.0” in your computer. -Turn of “Antivirus” or “Real time protection” from your computer. -Extract “Xiaomi A1 FRP Tool V1.0” from winrar archive. -Switch off Xiaomi Mi A1 device. -Press & Hole (Volume UP + Power Key) together until you see “Fastboot Mode”. -Now connect your device to computer via “Micro USB Cable”. -Right click on “My Computer” icon, and then click on “Manager”, after that click on “Device Manager”. -From there, verify that your “Xiaomi” device has successfully been detected by computer. 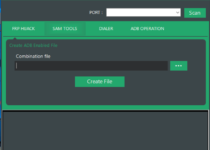 -Right click on “Xiaomi A1 FRP Tool V1.0” and run as administrator (see below image). -After that, command prompt window will open, and wait once green screen appears up. 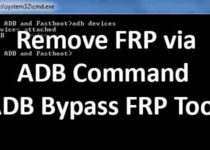 -Press any key from your keyboard to Xiaomi Mi A1 Bypass Google Account. -After that, it will auto reboot your device. -Tap on >SKIP > Set up as new > SKIP. -Complete initial setup to Xiaomi Mi A1 Bypass Google Account. -Once you access to your device “HOME SCREEN”. -From there go to > Settings > Account > Add Account > Google. -Add your new gmail account there. -After that, again go to > Settings > Backup & Reset > Factory Data Reset > Reset Phone. -Now it will reset your device, and then again complete initial setup, if it ask you to sign in with gmail account, just give the gmail id that you have added already.